NEW DELHI (Feb 1): Counterfeiters have successfully replicated up to 50% of the security features of new 2,000-rupee notes found in four consignments of Fake Indian Currency Notes (FICN) intercepted by India's National Investigation Agency and Bangladesh’s Border Security Force (BSF) between December 2016 and last month, according to an Indian media report. 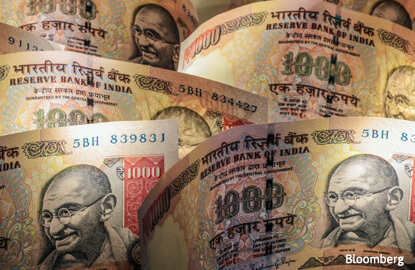 According to a report by The Hindu, counterfeiters managed to expertly replicate half of the security features of the new 2,000-rupee notes, which has caused alarm among intelligence agencies and security forces. The Hindu today quoted a senior security officer as saying that the fake notes have the same geometric patterns and colour scheme both on the obverse and reverse side, including the watermark and the exclusive number pattern of the 2,000-rupee notes. "Unlike samples seized elsewhere which were scanned or were colour photocopies, these have been printed using sophisticated dyes,” it said. The Hindu added that while more than half of the 17 Reserve Bank of India-listed security features had been replicated, the fake notes do not match the real currency's paper quality and the darkness of the magenta dye. Features for the visually impaired are also not usable. “The fakes show that four features on the reverse side, a motif of Chandrayaan, the language panel, the Swachh Bharat logo and year of printing had been copied. On the obverse, the see-through area, denominational numeral in Devnagari, guarantee clause with the RBI Governor’s signature, and water mark were replicated,” it said. There have also been some 500-rupee fake notes which had paper quality closely matching the original, but the printing is of a lower quality.